Dealing with group headers in banded reporting tools like Crystal Reports feels easy and natural. The group header section is clearly visible on the design surface, and it is simple to add text or format group header fields. Dealing with SQL Server Reporting Services (SSRS) group headers is a little less intuitive, as it is not a banded reporting tool, and uses the concept of a “Tablix” for displaying grouped data in a table structure. In this article, I’ll take you through the steps necessary to create a “full width” group header on an SSRS report, using Report Builder 3.0. You can right-justify the cell, and you now have a data table with full-width group headers and footers – just style as desired! Highlight the group column, and delete it. The table will still be grouped by that field, only the column will be removed. Right-click on the detail row, then select “Insert Row”, choosing the “Outside Group – Above” option. This will create a new row above each group instance. 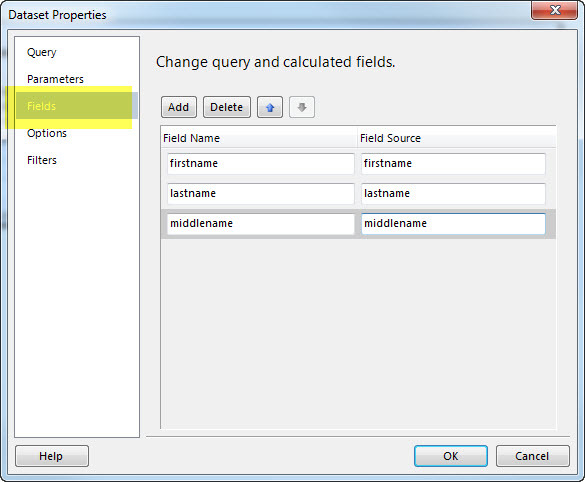 You can merge these cells to create a full-width header, and add the Group field to the merged cell. Repeat the step above, but this time choose “Outside Group – Below”. This will create a new row below each Group instance, and any summaries can be placed here. That’s all there is to it! Dealing with Group Headers and Footers in SSRS can be confusing at first, especially if you are coming from a banded reporting tool like Crystal Reports. It doesn’t take long to get used to working with the Tablix control, though, and I hope the steps above helped clear the way a little. 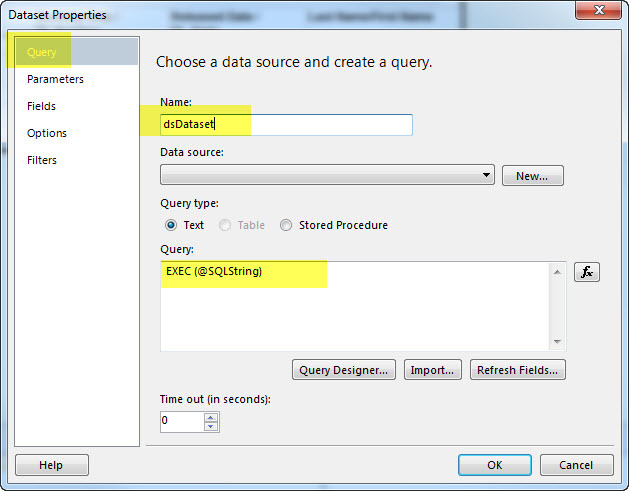 MCP, CRCP, Principal at Result Data Consulting, Ltd.
You then pull the columns from that table and load the data into your report fields (First Name, Last Name, and Middle Name). Let’s say that the report is executed from an application that has a search form. That form has 25 controls on it used for filtering. The client enters or chooses their filtering from those 25 controls and clicks a search button. The results are returned to a grid. The application then provides a PRINT button that executes your SSRS report that displays the same data provided in their grid. 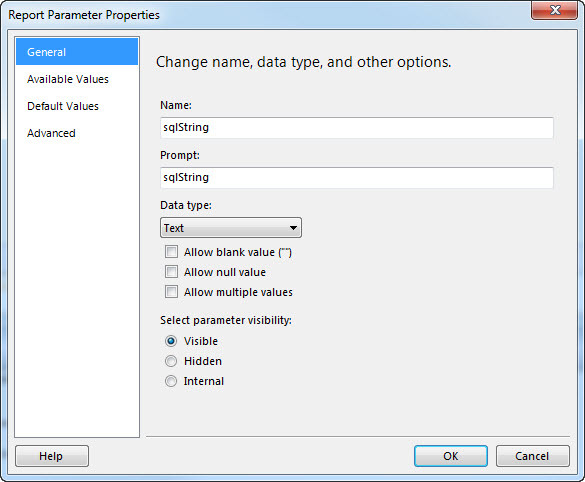 1) Define 25 parameters in your report and have your dataset interrogate each parameter in your WHERE clause. But what if every month, the application adds or removes controls from their search form? Now you have to change the report too!